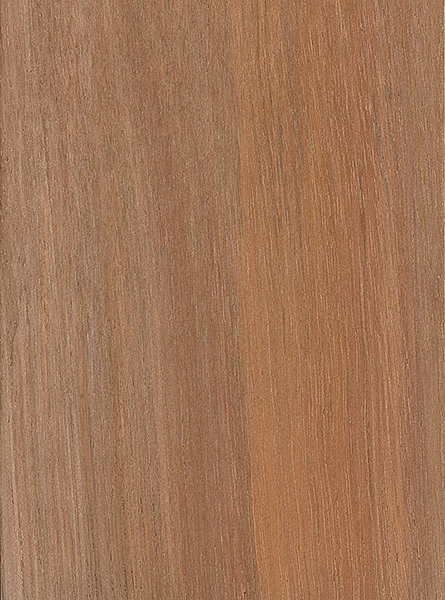 Color/Appearance: Heartwood is a light to medium reddish brown. 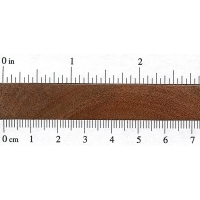 Grayish sapwood is not well defined. 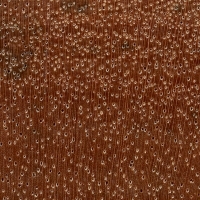 Grain/Texture: Grain is interlocked, with a medium uniform texture and moderate natural luster. 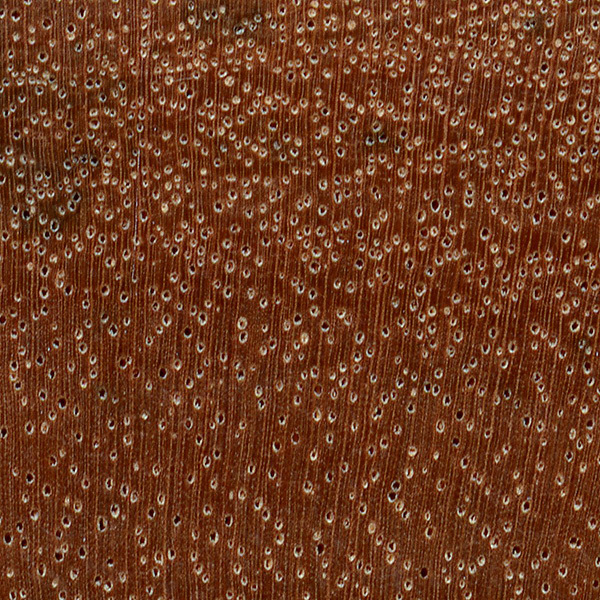 Endgrain: Diffuse-porous; exclusively solitary; medium to large pores in no specific arrangement, moderately numerous; parenchyma not visible; narrow rays, spacing fairly close. Rot Resistance: Rated as non-durable to perishable; good insect resistance. Workability: Generally difficult to work on account of its high density and interlocked grain. Ohia also has a rather large movement in service, as evidenced by its high shrinkage values. Allergies/Toxicity: Besides the standard health risks associated with any type of wood dust, no further health reactions have been associated with Ohia. See the articles Wood Allergies and Toxicity and Wood Dust Safety for more information. Pricing/Availability: Not commonly exported. 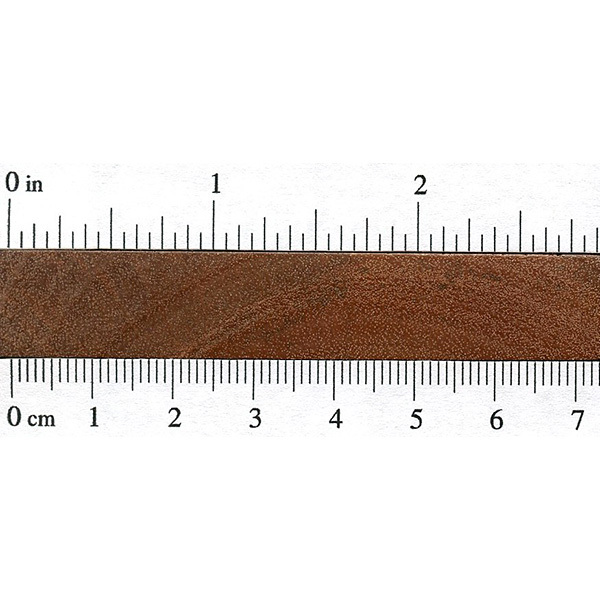 However, slabs, lumber, and smaller craft blanks can all be found on occasion. 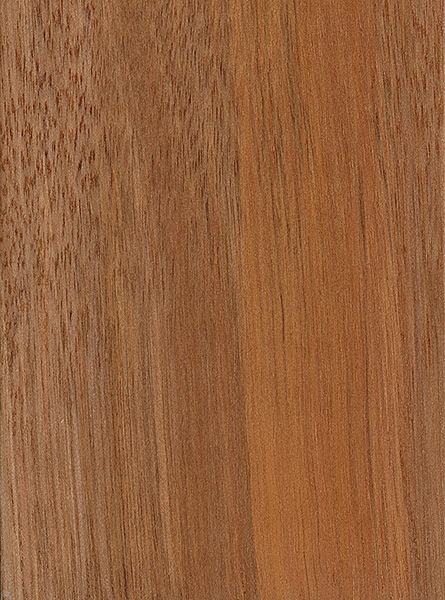 Prices are in the mid range for an imported tropical hardwood. Common Uses: Furniture, flooring, and turned objects. Comments: Ohia is a very common species in Hawaii. According to folklore, Ohi’a was the name of a warrior that was transformed into a tree. Does anyone have any experience in putting a Varnish on this wood? We have a wooden bridge made of this and used a minwax poly-utherethane and it peeled after a few months. I just milled some kiln dried Ohia and it is super oily. I imagine varnish and other treatments would find it hard to adhere to this wood. My hands feel like I rubbed lotion all over them after handling the wood for about an hour.